A perfect brush for applying your favorite powder products with a smooth finish. 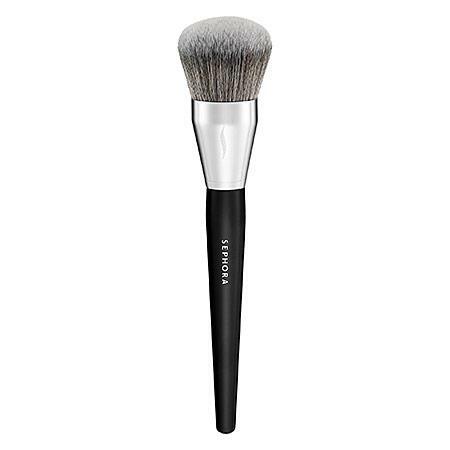 Sweep and blend loose or compact powders all over the face and decollete with this large, round brush. The high bristle density and domed shape grab and buff powder and mineral products evenly for a gorgeous complexion. The synthetic fibers can be used wet or dry and the wood handle fits comfortably in the hand for increased control.